Bankruptcy Effects | Denver Bankruptcy Attorney - Jon B. Clarke, P.C. Filing bankruptcy is a serious choice, and Denver bankruptcy attorney Jon Clarke can explain what you can expect when filing for bankruptcy. Filing bankruptcy is a serious choice that should not be taken lightly. While there are definite benefits in relieving your debt, these benefits do not come out without some consequences, such as a negative effect on your credit. 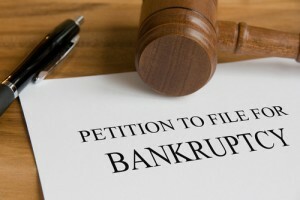 Considering all the effects of filing bankruptcy is important in order to be certain it is the right option for you. Bankruptcy will affect your credit. It can stay on your credit report for up to 10 years. You may have difficulty getting loans. If a lender does offer you a loan, it will most likely be at a higher interest rate. In limited circumstances, filing bankruptcy may affect your job, especially if you work in the financial industry in a capacity requiring bonding. Bankruptcy may affect your eligibility for a mortgage for several years after the bankruptcy filing. Colorado bankruptcy attorney Jon B. Clarke has more than 35 years of experience in bankruptcy law. He uses his extensive knowledge and experience to guide clients through filing Chapter 7 and Chapter 11 bankruptcy in even the most complex financial situations. You can be sure you are getting a lawyer who understands the effects of filing bankruptcy, and who can effectively help you decide the best course of action for achieving debt relief. At the Law Office of Jon B. Clarke, P.C., we have an extensive background in explaining both the benefits and shortcomings of a bankruptcy filing. Contact our law office in Castle Rock, Colorado, to discuss your situation and whether filing bankruptcy is right for you.